The Nashville Predators made history Sunday at Bridgestone Arena with their 3-1 sixth game victory over the St. Louis Blues. 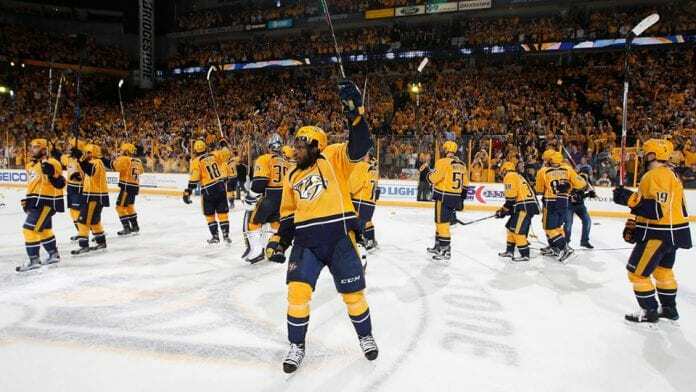 It marked the first time that the Predators have advanced beyond the second round of the Stanley Cup Playoffs in their history. They are four victories away from the Finals and eight away from taking the Cup itself, something that was actually viewed as a possibility when the season began, but then seemed like a long-shot at best after a late season collapse saw them relegated to the second wild-card spot, and a first-round match against Cup favorite Chicago. But the Predators are now playing like the team that many thought they would be earlier. Sunday they overcame an early 1-0 deficit, kept the Blues off the board from that point on, and added one second period and two third period goals to complete a 4-2 series win over the Blues and finally break the second round jinx. “Right now, it means everything,” goalie Pekka Rinne told USA Today Network. “We haven’t gone further than this before. … There’s a lot of work left, but after this second round, there’s only four teams left We all know that we have what it takes, and everything is in our hands”This is why you play this game.” Rinne’s stellar play in net over the first two series have been the key factor in the Predators taking eight of 10 playoff games over the first two rounds. As a wild-card team, the Predators will never have the home ice advantage in any round, but that hasn’t seemed to stop anything. Their next opponent will be the winner of the Anaheim/Edmonton series, now tied at 3-3 after the Oilers 7-1 wipeout of Anaheim Sunday. As has been the case all playoffs, along with Rinne, it was the defensive corps who propelled them to victory. Defensemen Mattias Ekholm and Roman Josi initially joined forces to get the tying goal. It was the ninth from a Predators’ defenseman in the playoffs, a team record. Then center Ryan Johansen broke a scoring slump with the game winning goal at the 3:15 mark of the third period. The Predators added an empty net score late when the Blues were scrambling with an extra skater. 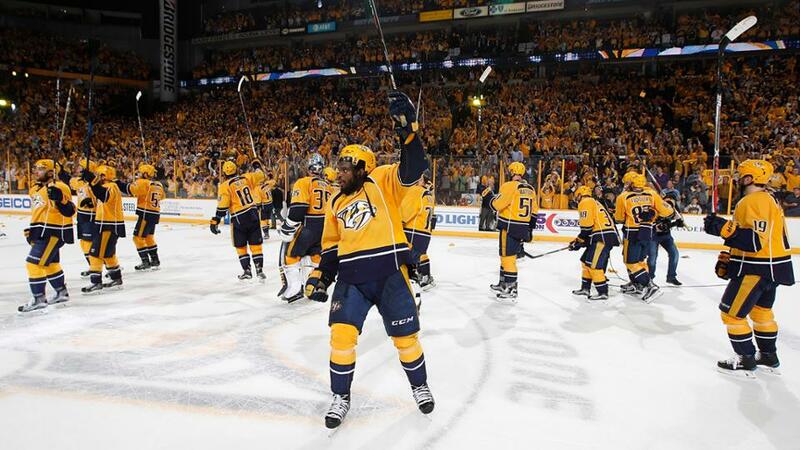 “The expectation is a Stanley Cup,” Predators defenseman P.K. Subban said. “I think we took a big step today for this organization and this city, but that’s not our ultimate goal. Our ultimate goal is to win the Stanley Cup. The dates and times of Conference Final games were not available at press time. Dates of Games 3 and 4 at Bridgestone will be announced later. But most importantly, the Predators are in the Conference Finals.